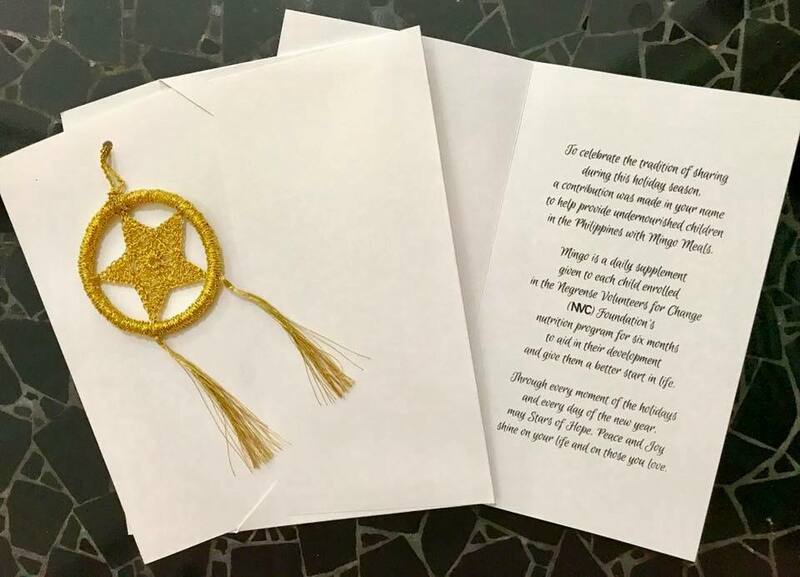 If you gave or received a card like this one, know NVC has started–with proceeds from the sales–to enroll 40 children in NVC’s Mingo Meals nutrition program that will provide them with daily access to this instant meal made of rice, mongo and malunggay for six months. 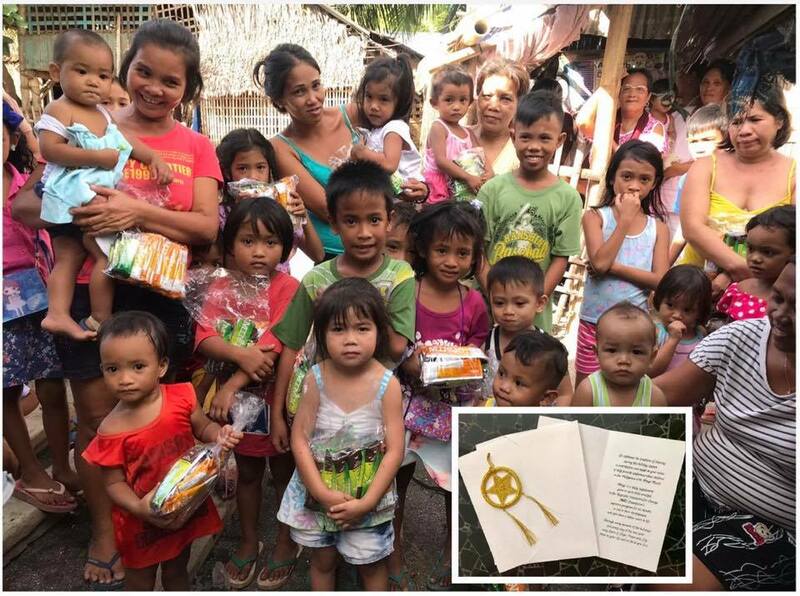 The children come from an impoverished shoreline village in Brgy Tabao, Valladolid, Negros Occidental. After their weights and heights were taken, they were determined to be in need of nutritional support. We will continue to document and monitor their progress until the end of the six months. More children in other villages in any of the 36 provinces across the Philippine archipelago which NVC serves will continue to be enrolled in the program.